If you don’t know what a hash mark is, it’s the ‘#’ on your phone or SHIFT+3 on your keyboard. You may also call it a pound sign. 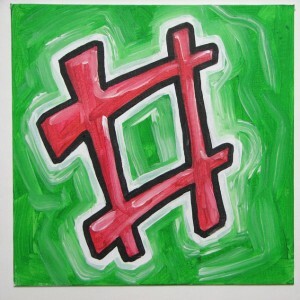 Right about now, you might be asking what does this little symbol have to do with websites! I’m glad you asked because I’m here to tell you. This is a more advanced article regarding the usage of the hash symbol as a means to reduce duplicate content for the search engines. As mentioned much earlier, you never want to have duplicate content. This not only means copying content from other websites, but providing duplicate links from within your own site. These links by themselves are not causing any problems, but when a search engine begins indexing your website, it’s going to find and index all 3 separately. The problem is that all of these links point to the same exact page. If the search engine views these 3 different links pointing to the same page, it’s very likely that your site could be penalized for duplicate content. Another problem this creates is that it spreads any link juice you might have over all 3 links even though they are still pointing to the exact same page! You don’t want this!! Search engines will stop at the hash, thus making your 3 links appear only as 1! Confused yet?? I don’t pretend to be the expert on this matter and therefore, for further reading, check out this page all about URL referrers. I recommend that you decide up front how the links to your website will be organized. Besides the information on this page, there’s a whole slew of problems that can arise from improperly linked webpages. It’s important that once you have a link structure in place, you stick with it and don’t change it. Fan pages can be any general webpage that is created by yourself or someone else who’s a fan of your site/business, but it this case, we’re talking about Facebook fan pages. I was searching for a straight-up comparison between fan pages and group pages only expecting to find limited information, but I found a blog post over at Search Engine Journal that gave me what I was looking for. What is a fan page? Facebook has two options for promoting and networking people with your business, website or blog. You can create a group which is basically a discussion page while pages are like Facebook profiles, but for an entire company. Even if you’re just a one-person show, you might still want to create your own Facebook page. This way, you can still have your personal profile and not have to mix in your business. As I mentioned earlier, setting up a Facebook fan page creates the same functionality as a standard Facebook page, but with the added bonus of being separate from your personal profile. In my case, I decided that I’d operate two blogs–one for my self and one for my business venture. Since this site was automatically posting my new articles to my personal Facebook profile, I can now move them over to the fan page I created and have my personal blog post to my actual profile. Make sense?! Online groups are just as important and functional as groups in real life. They allow people that share common interests to network with each other and share information, opinions and ideas. Finding a group is easy and it’s something that you should always consider when you’re looking for a competitive edge in business. Lets say you’re in the business of building websites and you’re having a little trouble finding clients or maybe you feel a little stuck with some of your skills and you need a little help. You could go it alone and spend countless hours scouring the Internet for all the resources you need, but imagine if you belonged to a group other other web designers and maybe a few web hosting providers? You would now have access to countless amounts of free tools and help from people all over the world! In the days past, web groups were all important for your business to gain that slight advantage and it was hard to find them, but today, groups have kind of taking on a new image. Social networking has arrived and services like Facebook, LinkedIn, Google Groups and Xing are providing a hybrid experience that incorporates everyday communications and updates with actual business-networking building tools. I have compiled a small list of websites that offer network building tools, user groups and more. This section was not expected to be very large considering the majority of this information will be available later when I begin discussing social networking, but here’s a small list of popular sites. LinkedIn – LinkedIn uses a simple premise–connect with former and current colleagues and friends. Once you start building your connections in turn, you gain access to their connections and so forth. The more people you can connect with, the more networking you can do. Xing – Xing takes global networking to a new level. They boast over 8 million professionals using their services for managing business contacts. You can even search for new employees for your business, advertise with other companies and use your profile to draw attention to your company. Facebook – Although Facebook is mainly a social networking site, it does allow you to create a group for your business. This allows you to promote your services and get your name out there, but in comparison, I’d rather create a fan page. See my next topic for more information. Google Groups – This is yet one more service from Google that’s less hyped and promoted compared to everything else they do, but it’s a great tool anyway. You can find a group for just about anything you could want. From what I noticed, the majority of people are using Google Groups to provide tech support and help, but it can still be used as a viable networking site. Of course, there are plenty more out there, but the general idea is to connect yourself and your website with others in related fields. Before you know it, other people will be linking directly to your site and this will help increase your traffic! This is more for the bloggers out there, but it also applies to any website that provides a way for visitors to comment on your content or in response to other comments. In keeping with the concept of visitor interactivity, the purpose of providing comment space is to engage your visitors. When they feel like they’re more a part of your site, you will get better response to your offerings. As you have seen on my website, almost every page and post has a place to put comments in regards to the content on that page. I say “almost” because there’s no need to have comments on static pages like contacts and so forth. Anyway, it would seem that having a comments section is a no-brainer and what else would need to be said about them?! DO allow visitors to comment. What this means is don’t force people to register just to put a comment on your site. Sometimes people just want to add their two cents and the last thing they need is another username and password to remember. DO respond to as many comments as you can, especially the ones with questions, duh! Your visitor wants to feel like they’ve been heard and even though they might get some responses from other users, it’s much more meaningful coming from the site owner (or at least the author of the content). DO remove the “rel=nofollow” link attribute from the website address listed on the comment. I advise this because I feel that if someone is taking the time to make a comment after reading your content, let them have a free backlink. Again, don’t worry about the spammers–you can get rid of them with other techniques. DO install anti-spam protection. It’s true, once your site picks up traffic, all the spammers in the world will descend upon your site like it’s made of gold, but you can stop this by using simple anti-spam plugins. DO return comments if people have related blogs. This shows that you’ve taking your time to view your visitor’s websites and it might even allow you to get your site a backlink. DON’T hide your comments. Some blogs hide comments, therefore making users click somewhere to drop the comments down. Of course this might be helpful if you have hundreds of comments on a single page, but generally, you want to ensure that comments are a part of your content. DON’T delete negative comments. If you prune your comments so that your content always shines, you’re fooling yourself. Let people say what they want. Isn’t that the reason why you started blogging in the first place? It’ll create a well-rounded experience for everybody if they know they have can open dialog on your site. DON’T ignore people. Some people leave comments to ask you questions or make requests. The moment you start ignoring people because you feel above them is when you will lose your traffic. Keep reminding yourself that these people don’t need to come to your site. DON’T allow spam. Some blogs don’t have checks in place to either look for spam or at least moderate all comments for approval so a lot of spam gets through. This doesn’t just affect your site. Spam being on your site can also affect every site you link to and those webmasters will not like that! DON’T disable comments altogether because you’re afraid of people’s reactions to your site. The purpose of the Internet is to share information and teach people. Maybe someone can show you a thing or two in return. Don’t kill your blog by overlooking something as simple and basic as a comments section. Utilize your tools and harness your visitors so they keep coming back more and more. You’ll notice in short time how fast your site can grow by keeping it fresh and allowing people to interact with you. If you’re keeping up with my articles, you’re starting to notice a trend about interacting with your users. There are many ways to do it and you can either do them all or specialize in a few. One of the most elaborate (and sometimes difficult) ways to create user interaction is by creating a forum, also known as a message board. Do not confuse forms with forums! Whereas a ‘form’ allows your users to interact with you, a ‘forum’ allows online, live connections between you and your user as well as the user and other users. I’m pretty sure you have see a message board online somewhere in your travels. Generally, it’s a place where a user posts a question or concern and then other people respond by commenting or answering the question. In no time, a dialog is created and anyone can participate. First, the catch-22 with operating a forum is that you need members. Starting out a forum-only website can be a daunting task mainly because people don’t want to waste time posting a question or comment on a member-less website because they will not be getting a response. The question of whether you need one comes down to your users. Do you offer a product or service that is generating side conversations in your blog comments? Do those same products and services keep getting support questions from users? The purpose of your forum will define why you need it and the goal is to generate interaction between your users. Let them talk about things, ask questions, explore new ideas and share their own. There are countless software packages out there that offer different forum setups ranging from extremely basic to advanced. Some are free and some cost money, but in general, they’re all very easy to setup. Originally, I was going to tout vBulletin as the best forum software out there, but I just realized they have created a whole new monster! They have now integrated their very successful forum software into a full-featured CMS software suite and I must tell you, it looks amazing! phpBB – You can’t beat free, right? phpBB is probably the best deal your’re going to get and it’s the best way to get a site built and running without having to fork over a sum of money to do so. Also, if you outgrow this platform, you can always upgrade to something bigger later on. YaBB – Another free title that you can use to test your site and figure out how everything is going to work. There is great community support and it’s a very basic software package. vBulletin – For $285, you not only get a full-featured forum package, but also an entire CMS suite! You can manage all aspects of your site with one program and have all of your features integrated into to one seamless structure. This is by far the best for your money, but may only be of use to larger sites. This is one you would want to upgrade to as your site grows. To see a more expansive list, check out CMSCritic. Unless you already have a significant userbase or you’re involved in a community that needs organization, you’re going to have a tough time getting a forum off the ground. However, it can be done if you work at it. Like I said before, getting members is really all it takes. I’d say if you’re serious about getting a blog going or just creating a website to sell your products and services, you might want to invest in vBulletin because it allows you to get a full-featured content site going while offering you the ability to open a message board later. Alternatively, you can start with a small (and free) setup to learn the ropes and then upgrade as time moves on. 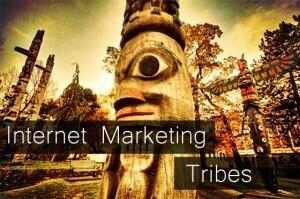 Tribe marketing is more of a descriptive title rather than an official name. In a sense, being tribal just means that we as a society take our cues from the group (or tribe) that we most relate to. For example, if you’re close to the entertainment industry, you’re more likely to follow trends that current celebrities are following or creating. In terms of websites and/or blogs, it’s important to know what tribe you belong to or what tribe you’re creating. For a website example, lets look at my site. The most closely related tribal group I can relate to would be business owners, bloggers, website developers and Internet marketers. What this means is that my content will strike a chord with people in these groups and they’re more likely to respond to my offerings. As with any marketing, you want to focus your attention on your niche group(s). Although one of your primary goals is to get as much traffic to your site as possible, what good is a bunch of visitors looking for ways to soup up their hotrods when your site is based on search engine optimization? Your site however, would be of some use to the person running a site about hotrods. Because people are “tribal” by nature, they are looking to fit in with people who share the same interests and want the same things in life–as well they should be. Your goal is to maximize your site’s potential using these groups of people. Create a forum – Using a forum (message board) allows you to interact with your visitors as well as letting them interact with each other. 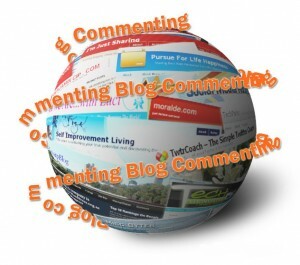 Blog comments – Allow visitors to comment on your posts to create dialog. Use groups – Use web groups all over the Internet that group similar people together to promote your website to. If you have passion about your website, you’re probably already doing these things and understand the value of them. Think about it this way: if you went to an online store that sold something you can’t buy anywhere else, how much better would it be if you went to the product page and right alongside the standard description, you got to see other people’s opinions on it, some forum posts about how to customize that product and even a live contact link straight to the owner! Not only would this make you feel better about the product, but you’re likely to come back and buy other things as well. Utilize the way people communicate and interact with other people. You’d be surprised how much more 100 visitors of targeted traffic is worth compared to 1000 random visitors. Spend your time looking for people that are looking for you and don’t get so caught up with just trying to get your traffic numbers up. Social networks are the major driving force behind the Internet and using them is almost a necessity these days. In a world without Facebook and the bunch, you would have to market your products and services all by yourself and do it all manually. Now, subscribing to a site such as Ping.fm allows you to post news, updates, status changes and other informational tidbits to just about every service you can imagine. 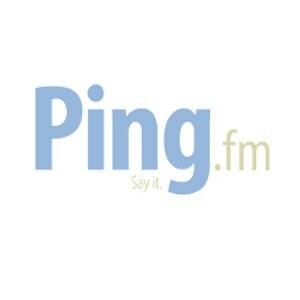 At the time of this writing, Ping.fm supports 42 social networking sites and services. The premise is simple–you sign up for Ping.fm, add your login credentials for each of the sites you are part of and start posting. Ping.fm simplifies your life by enabling access to your desired services and allowing you to post once to your Ping account via the website or their desktop software and your message instantly becomes available to all of your social sites. They also allow you to post your messages from a slew of other sources like Skype, SMS from your cell phone, GoogleTalk, Yahoo! or right from your iPhone (no app yet). Signing up for Ping.fm is free as well as all of the services it supports, so there’s no reason not to get a few under your belt. Do I need more than one service? You or someone you know might only be connected with a Facebook account and a Twitter account, but find that even then, it’s too much to handle. I agree–when you use these accounts for personal use. However, in the business realm, I find that the more sites you join (and post to), the more exposure you get. Actually, it’s just plain common sense. I don’t know exactly how many social networks there are out there, but I can contest to at least over 40! Obviously, if you had a login to every service, you’d go nuts trying to update all of them. Fortunately that’s where Ping.fm comes in to play. From a business standpoint, you’ll want to have a multitude of services at your disposal. The more, the better. Let’s take a small example to see why this is a benefit to you. Pretend that of the 42 services Ping.fm offers, you only had a Facebook account. If you had 100 friends on Facebook, you can send your message out to 100 people each time. Now what about the 50 co-workers that don’t use Facebook? They’re over on LinkedIn and they don’t get your Facebook post. Wouldn’t it be nice to broadcast your message to 150 people? Now add the people searching links on del.icio.us, Yahoo!, etc. and the total number of people can really add up! You’ve seen it all over my site and probably many other sites you’ve been to. It’s the little orange icon that indicates there’s a subscription you can subscribe to on a website. 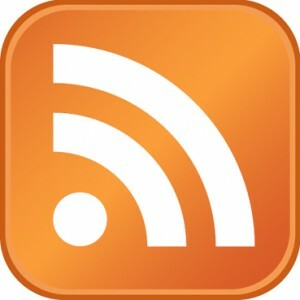 If you want to get all the latest updates for a website without having to go back multiple times a day to see what’s changed, subscribing to an RSS feed will help you. Some browsers don’t read the RSS inline, but rather bookmark the feed in the browser and then open it in a built-in RSS reader. Here’s a list of popular browsers and how they interpret RSS feeds. Google Chrome – Chrome opens feeds directly in a new tab (or window) and allows you to read the content in the browser. From there, you can bookmark it as you see fit. Mozilla Firefox – When you click on a feed link, you’re automatically prompted to bookmark the feed. This feed is then sorted by all of the content entries by title. When you click on any link within the bookmark, it takes you directly to the original page on the site. Microsoft Internet Explorer – Internet Explorer 7 and newer will open a feed very similar to the way Chrome does, but it has the added benefit of being able to sort content by category (site tags). Apple Safari – Apple also opens feeds just like Chrome and Internet Explorer, but it allows you to sort and search content in greater detail than Internet Explorer. A old way of keeping your visitors notified of updates was to have them sign up for an email newsletter and hope they check their mail. Since email is so flooded with spam these days, it’s getting harder and harder to retain the attention spans of your web visitors. By having these updates delivered to their browser window, it increases the chances that they’ll respond. Ads – If you’re using Google AdSense, Google has new tools for RSS feeds that allow ads to be dropped right into the feed content and it works the same way as it does on your site. Bandwidth – Although images and video still show in your feeds, other images such as themes and logos don’t. This can save you bandwidth charges every month when people view your content only through RSS. Loyalty – Your visitors love updates and the faster and easier they can get it, the better. RSS provides you with both of these features and the best part is that it’s all automatic. Promotion – Your feed urls can be distributed all over the Internet to create more or less, a new following for your website. 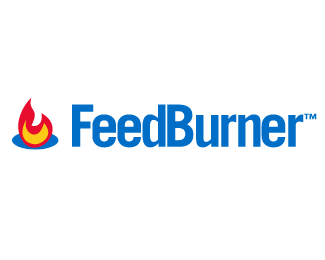 I recommend syndicating your RSS through Feedburner, which is now part of Google. This way, you add another useful service to your Google account and also take advantage of Google AdSense. Everything is built right in and you are able to create multiple feeds in needed. This one is mainly for those running blogs. However, this doesn’t limit you to personal blogs. A lot of businesses are now using blogs to promote and sell products. If you can imagine a Facebook geared specifically for blog sites, then MyBlogLog is what you get. MyBlogLog is now a Yahoo! service after being acquired in 2007 for around $10 million. Blog owners can download a widget to put on their blog that connects other blog owners with each other based on content and keywords. When you create your free account, you are creating a blog community for your listed blog(s). This community is then searchable, shareable and subscribe-able by all users of MyBlogLog. See what I mean by going to my MyBlogLog community–you can join right from this page. This service is a great tool to continue spreading the word about your site. One thing I really like about sites like this and Technorati is that they are designed for bloggers. Getting listed in Google is great, but your site is thrown in with the masses and is compared to all other web-types out there. When your blog is within a blogging community, you’re undoubtedly going to be better embraced. There are website widgets available to place on your website that extend your site’s functionality for your account. Widgets allow you to display recently viewed pages on your site as well as recent members who visited your blog. This allows you to show your MyBlogLog visitors to your own visitors. All links are based on related content and doing this creates a much deeper network within the community. Another widget, which is actually a WordPress plugin, called Just for You goes a step further in connecting people based on interests. What’s really cool about this one is that it displays related content on your site based on whether that visitor is a MyBlogLog member or not. If your visitor is a member, they’ll get to see related posts on your site based on the tags they have in their account. If they’re not a member, they will see related posts based on recent member’s tags. Other widgets allow you to display your current statuses and updates to your blog alongside countless other services and features that you integrate into your MyBlogLog account. The goal for your blog or any website that you’re building is to get it out in the world as much as possible without spamming or doing other “shady” practices. This site allows you to just add one more way to get your content in front of others that are looking for it. If you’re looking for another similar service that is not part of this series, check out my article on Arkayne. There’s a video that explains it all!